Russia's Central Bank officially announced the creation of a national payment card system to rival existing international operations. The new system will be created from scratch. The Russian Central Bank has decided to create a national payment card system - a competitor to Visa and MasterCard - from scratch, without using existing structures. The new system should start working in 2015 and the first cards with the emblems will be issued in a year and a half. According to a Central Bank press office announcement on July 29, the national payment card system will be based on its own platform. "The decision is final: The technological foundation will be its own, however, developments made in Russia and abroad will be taken into consideration," Vice President of the State Duma's Financial Market Committee Anatoly Aksakov told the Itar-Tass news agency. The decision to create this system was made after the Visa and MasterCard international payment systems blocked operations with cards issued by the Russian banks included on the U.S. sanctions list in May 2014. One of the banks was Bank Rossiya, owned by media-magnate Yury Kovalchuk; another was the SMP Bank, owned by brothers Arkady and Boris Rotenberg, who are considered close friends of Russian President Vladimir Putin. According to Yelena Fedotkovaya, Manager of Credit Market Research and Analysis, the timeframe for the creation of the new payment system has already been defined: one year to develop it and half a year to issue the card. Earlier many experts had assumed that the new system would be based on an already existing framework developed by Sberbank, Russia's largest bank – the PRO 100 system and the universal electronic card attached to it, which is used in obtaining mandatory medical insurance. This system's main competitor was the Golden Crown payment system, which is Russia's absolute leader in terms of cards issued: 19 million cards to PRO 100's 295,000. This system is also the leader in terms of participating banks: 513 banks to PRO 100's 14. However, the PRO 100 system had the support of Russia's largest bank. 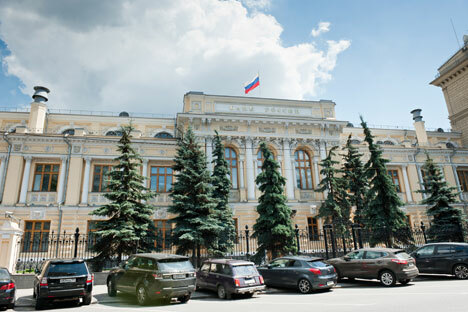 "The Central Bank took this initiative so that there would be parity among Russian banks and no one would be offended," says Vadim Tkachenko, a partner in the vvCube Group. In particular, the biggest disadvantage in using the PRO 100 was that this decision could have further strengthened the position of Sberbank, which is already the undisputed leader among Russian banks in many respects. In the opinion of Anton Soroko, an analyst from FINAM Investment Holding, the choice was also made in favour of developing an independent system so as to control the process of creating it. "On the other hand," says Soroko, "objectively speaking, this decision is the most time-consuming and costly from the point of view of development, since it will have to be done from scratch, even if it can be based on available solutions in Russia and abroad." In the words of chief analyst of UFS IC Ilya Balakirev, by creating the system from zero, it will be possible to work out the critical moments beforehand and "avoid rough edges." Balakirev says that "the platform itself can be realized rather quickly according to the developments available or modeled on existing systems. “The time necessary for creating it will depend on the concentration of resources, but we are speaking of a maximum of a few months," he says. Balakirev believes that the biggest challenge will be to communicate this decision to the users, creating a system that would be able to compete on a par with Visa and MasterCard, at least in the domestic market. Can the BRICS David take on the West’s Goliath? "It will take between one and two years for the system to function well and have users know about it," says Oleg Grishin, President of the Rapida Payment System. Nevertheless, according to experts, the process of creating the new system will now be set in motion. "The creation of the national payment system will simultaneously help protect the Russian market from a possible 'momentary collapse' scenario and avoid an unjustified situation in which authorizations among two Russian participants in the systems take place outside Russia," says Denis Khrenov, Senior Vice President of the Intercommerz Bank. This way banks will be able to make payments on cards regardless of whether one company or another is on the U.S. sanctions list. However, according to FinExpertise's Deputy General Director of Collaboration with Credit Organizations Natalya Borzova, the short period of time allotted for the project will require the serious mobilization of Russia's Central Bank.